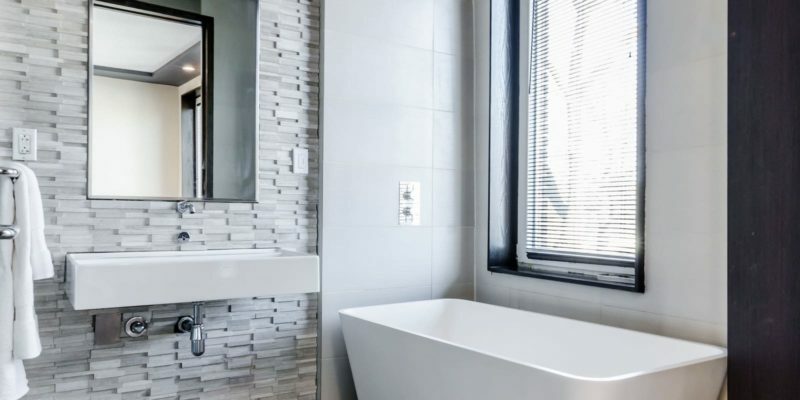 A bathroom remodel is one of the biggest home remodeling projects that can give a serious boost to your home’s value (besides impact windows of course). Whether you choose to make just a subtle change or are looking for a complete transformation, the scope of your bathroom upgrade will influence where you start when taking on the hard work. Regardless of scope, however, there are a few universal places to begin when choosing to complete a bathroom renovation (and don’t forget to ask your Contractor these questions). Before heading into any remodeling project, it’s wise to crunch the numbers and have a full understanding of your budget before committing to any project. Your budget will guide you in everything from the big decisions of what to include in your project’s scope and design to making smaller decisions on the finishing touches and any extras you may decide to include. Your space and how you use it should be front and center when working through new plan designs for your bathroom, and the room itself makes a difference. For example, are you remodeling a master bath or a shared family bathroom? Though both are bathrooms, they may be used in different ways. Consider the feelings you want your new space to evoke as much as the function you want it to serve when deciding on the vision you have for your new bathroom. Then it’s a good idea to speak to an architect. They are an essential component to bringing any bathroom renovation to life and you will be much happier that you did a few years after the renovation is complete. At this point, make sure your contractor is on board with your vision and that you have a detailed plan for how the work will get done. You’ll want to ensure that your residential contractor is comfortable securing the necessary permits for the job and has qualified subcontractors available if the job requires specialized labor. Taking on a bathroom remodel can change the feeling in – and the value of – your entire house. If you’re ready to transform your bathroom, get in touch with us at 305-790-1722 to learn how we can help you make the impact you want with your Miami bathroom renovation.